All screenshots and graphs used for this post were created using Octoboard Marketing Agency Reporting platform. 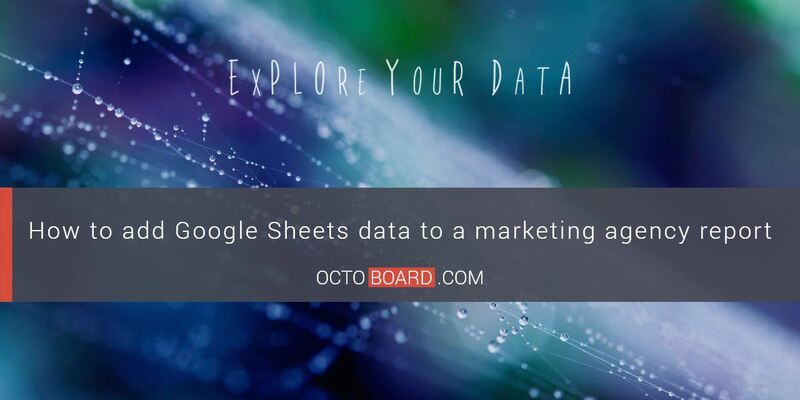 Octoboard is used by over 5000 businesses to collect, visualise and share data in hosted client portals and automated marketing reports. Reporting is a big and time-consuming part of the marketing agency operation. Performance is always assessed and reported on regularly. Clients now demand marketing reports and they are happy to pay for the extra value they deliver – after all, who would not want to see what their marketing budget is spent on? Reporting is also a great tool to showcase results of your work and demonstrate value to clients. Monthly and weekly marketing reports take time to create and their preparation wastes valuable time, time that should really go into building successful campaigns or working out strategies. In order to build reports, agencies spend many days every week collecting data and finding information that shows their results in the best light: proves higher engagement, better reach and ultimately – increase sales. There are hundreds of channels that marketers use to promote products and services: Social Media, blogs, Web Analytics, Google Analytics, Yandex.Metrica, Paid Ads and many more. All this data needs to be collected, analyzed and put into a report. If not done correctly, this work could be the end of any agency. Luckily, there is a way to get through this regular data collection and work overload, quicker and without much fuss! The answer is automation. Automated marketing reports are created in minutes. They free up hundreds of man-hours of valuable time every week. Automated platforms collect data from any data source once you connect to it. It keeps building reports when you log out. What to look for from automated reporting platform? DATA. It’s important that you have the ability to link the sources you already use: Google Analytics, Yandex.Metrica, Moz, Alexa, WordPress, Facebook, Twitter, Linkedin, Instagram, etc. – if you use it, you should be able to connect it and report these data sets. If the native integration isn’t included, it should be easy to provide your data with a Google Sheet, for example. SCALABILITY. You want to be sure that the platform you choose can grow with your business and accommodate increased users. The ability for your platform to handle the possibility of increased communication, tracking, and detailed analytics is critical. For example, Octoboard offers a variety of plans to fit every business – from startups to enterprises. Individual plans are also available. EASE OF USE. Can your whole team access and use the platform? How much training is required? Using a platform like Octoboard that is intuitive and user-friendly for your team can greatly help with the transition. REPORTING LEVEL. The more tracking and in-depth reporting insight your platform can provide, the happier your clients are. In Octoboard, it is achieved by multi-channel data tracking and effortless and, at the same time, detailed reporting. CUSTOMIZATION. If you want to make your report your own by either adding your logo or your client’s logo, you should be able to. The same goes for corporate colors and text adding – your automated marketing reports should have these features. Octoboard provides a White label feature that agencies all over the world appreciate a lot. TIME PER REPORT. It should not take more than 1 minute to create an automated report using an all-in-one solution. After all, if it takes more than that – why call it automation? SCHEDULING AND SENDING. Automation should not stop at generating reports – it is very important to be able to schedule and send it automatically to your clients as well. Octoboard allows you to do that quickly and without effort. 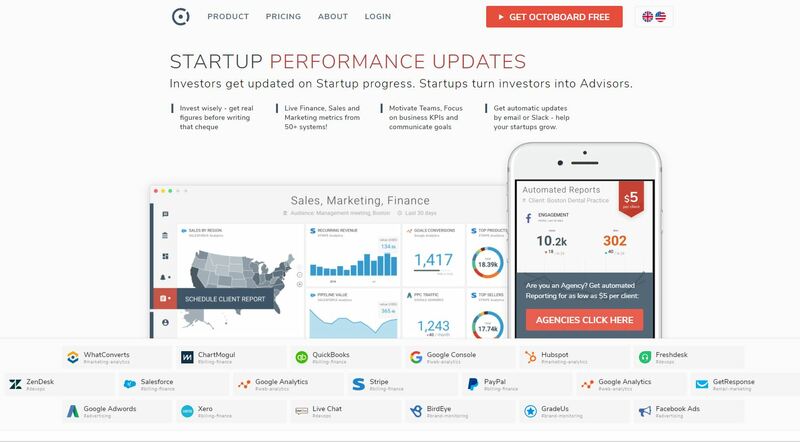 Octoboard is an all-in-one marketing dashboarding and automated reporting solution built for marketing agencies that automates just that – data collection, analysis, display, reporting – all from over 50 integrations – from Web analytics and Paid advertising to brand monitoring and reporting. You simply connect marketing and analytics apps that your clients use to Octoboard and it starts monitoring it for you right away, displaying data on your office TV screen, sharing dashboards with clients and sending reports by email. 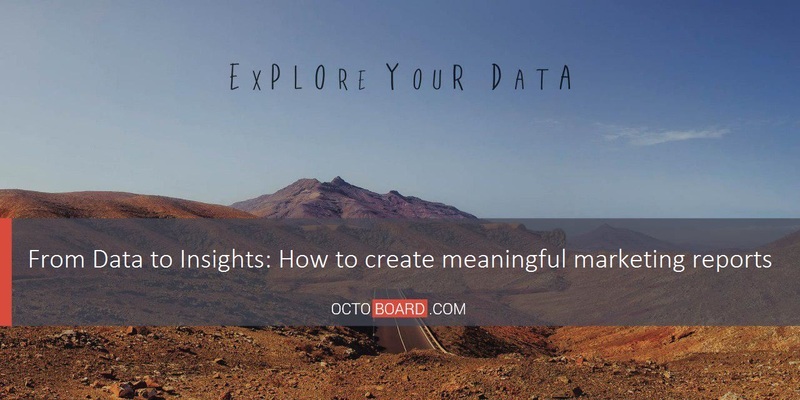 To create a marketing report with Octoboard, simply connect your applications and choose metrics or a ready-made template – all in 1 minute! While creating a report, your first concern should be the client’s convenience. Overloaded reports with confusing data will not add value and can even cause annoyance. Agency clients appreciate clear and logical marketing reports where they do not have to decipher complicated information. When you add screenshots, copy and paste pictures, tables and texts into one presentation, the data can quickly become confusing. For example, some graphs are based on raw numbers while others focus on rates. Others have trend lines and so on. When it is all mixed up, it does not add to client experience as it should. By using automated dashboard and reporting solutions, you are guaranteed that data will be presented in the same way every month. You allow the clients to focus on analysis, not simple comprehension. Again, make sure that marketing reports are customizable, your clients will appreciate it without a doubt. 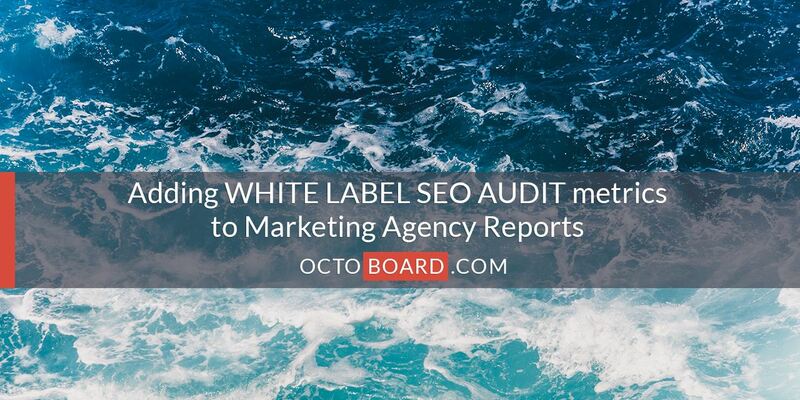 Octoboard offers White label reports with logo, text and color addition that will take your agency’s reporting to the new level of user-friendliness. 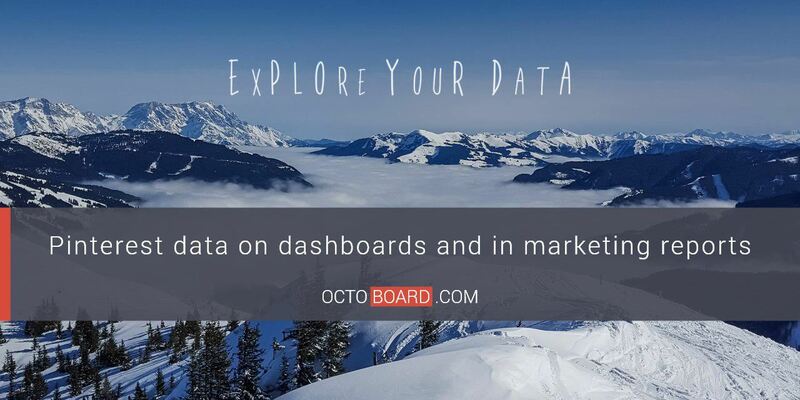 Apart from reporting, dashboard solutions like Octoboard can help marketing agencies with other tasks. Data collection is one of them. Digital marketing campaigns use various channels to promote services and goods. Social Media, Email-Marketing, Web Analytics, Google Analytics data, Paid Ads and more – agency managers need to carefully collect this data daily to make timely adjustments to overall marketing strategy or some parts of it. For that, marketers have to connect to platforms manually every time. It can take a considerable amount of time and, again, manual work. Octoboard collects data and updates it automatically, and you always have access to spot-on statistics to make right decisions for your client’s campaign. The collected up-to-date statistics are displayed in widgets in a form of graphs, charts, and tables because different data cannot be shown the same way. Useful and logical presentation, including the ability to monitor historical data and changes, adds to the tracking and analyzing the experience. 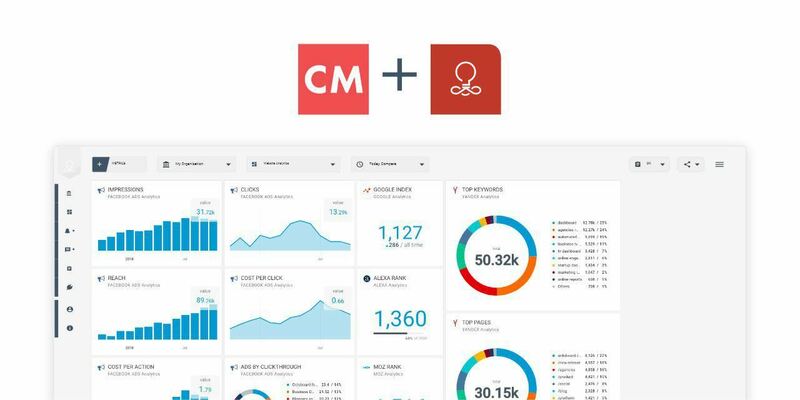 Agency marketers can create a separate dashboard or a few of them for each client, which organizes the management and helps reduce the amount of time spent on analytics. Dashboards can also have with your agency’s marketing, finance and brand monitoring data collection and tracking. Apart from marketing agencies, which are the obvious automated reporting users, it can be a useful tool for a variety of companies and departments. After all, reporting is needed in most businesses. Regular reports to senior management on the marketing performance are necessary, so why not make the process easier? All the useful data from Social Media and Google Analytics to Email Marketing and Paid Ads is in one place, and it becomes a detailed and actionable report in a few clicks. Accountants also have to report numbers regularly. 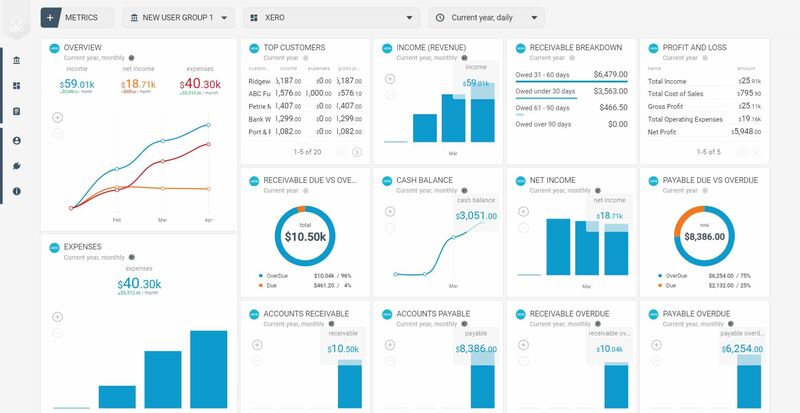 Applications like QuickBooks, Xero, Stripe and, for example, Salesforce, connected to a report automation platform like Octoboard, help track financial health and spot trends. Sales teams can also benefit from automation. 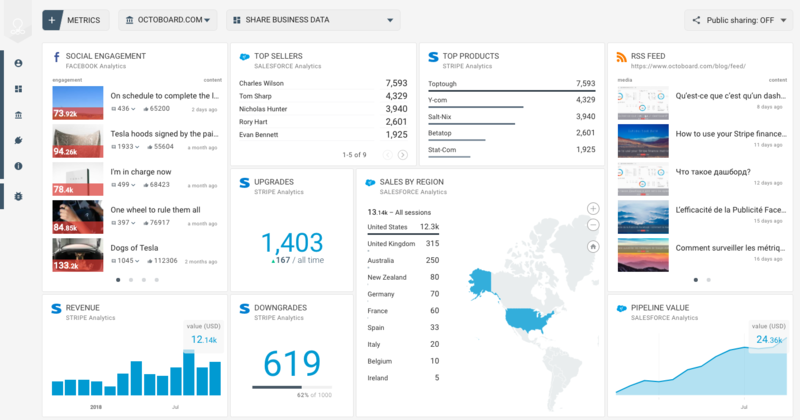 All numbers and statistics are a lot easier to understand, monitor and account on sales dashboards and reports. A lot of day-to-day issues with metrics and data reports can be solved with all-in-one dashboard and reporting solutions like Octoboard. The main advantage of automation is that it saves a lot of time and reduces the amount of manual work, giving more room to in-depth analytics and strategic planning. Automation is not the future anymore, it is a necessity. If you do not use it, you fall behind your competitors. Join Octoboard for free today and save time and money while adding value to your clients!